Check if you need a child car seat. Service area: Miami International Airport (MIA), Miami Beach, Downtown Miami, Brickell, Coconut Grove, Coral Gables, Key Biscayne, South Beach, Doral, Aventura, Port Everglades Cruise Ship Seaport in Fort Lauderdale. Payment options: Visa, MasterCard, American Express, and Discover. Easy cancellation: You may cancel up to three days out for a full refund, and change your travel dates free of charge. Are you traveling with 12 passengers or more? Get a free quote. For more information, click the "FAQ's" link above. 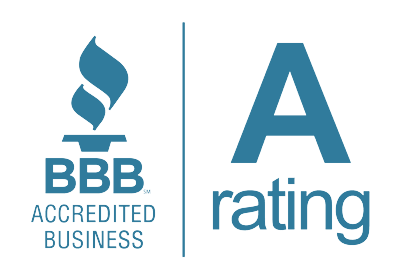 You can also call us at (305) 754-2206, or click the chat button at the top of the page. 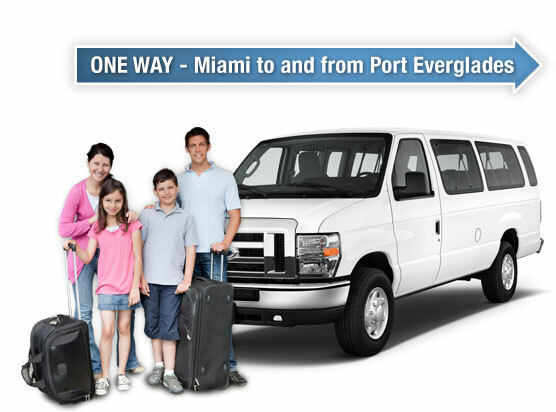 Miami Beach 411 provides ground transportation to nearby Airports, Seaports, hotels and residences. For Domestic flights, we recommend scheduling your pick-up time 30 minutes after your flight arrival time. For International flights, we recommend scheduling your pick-up time 75 minutes after your flight arrival time. Ft. Lauderdale Airport pick-ups are outside Baggage Claim. After collecting your luggage, you must call your driver. The driver will be parked in the vehicle holding area, waiting to receive your call. It is helpful to tell the driver what you are wearing so they can find you. If your flight is going to be delayed, it is imperative that you notify us. The driver will re-schedule your pick-up time, at no charge, should this occur. If you do not notify us, you will be considered a no-show and a refund will not be issued. If your mobile phone does not work in the US, use a public phone at the airport and call us toll-free at 1-888-999-8931 (8am - 10pm EST). We will phone the driver for you. Check with your cruise line for the ship's docking time. After docking, you will need to get your luggage and go through customs. Keep in mind, people with early flights will disembark first. If your ship docks at 7:00 AM, we recommend scheduling your pick-up time between 8:00 AM - 9:30 AM. If your ship docks at 8:00 AM, we recommend scheduling your pick-up time between 9:00 AM - 10:30 AM. During your cruise, go to the purser desk and show them a copy of your transportation confirmation. This will help to schedule your disembarkation. After you have made contact with your driver via phone, they will pick you up outside the main terminal of your ship. You schedule the pick-up time, when you make the reservation. If you are delayed disembarking the ship and miss your pick-up time, a new pick-up time will be re-scheduled, at no charge, as close to your original pick-up time as possible. If you are ready earlier than your scheduled pick-up time, you may call the driver and ask for an earlier pick-up. There is no guarantee the request will be accommodated. Reservations are accepted online or by phone, payable by credit card. All major credit cards are accepted. No, the prices listed are per the size of your group. What is a private charter? Private door to door service - no sharing. We pick you up at your home, hotel, port or airport, and transfer you wherever you want to go. Our fleet includes: 10-passenger van, 14-passenger van, 25-passenger shuttle bus, 32-passenger shuttle bus, 50-passenger motor coach. All the vehicles are new, clean and well maintained. Can you accommodate large groups? Yes! Miami Beach 411 provides transportation for 1 to 1,000+ passengers. If you are traveling with 15 or more people in your party, submit a free inquiry. Can you give us a private tour, then drop us at the airport? What cities do you provide transportation to? All cities in Southeast Florida including transfers to the Port of Miami, Palm Beach, Boca Raton, Pompano, Weston, Plantation, Deerfield Beach, Kendall, South Miami, and Homestead to name a few. What time should I arrive at the Port? If you are going to the Port of Miami or Port Everglades, we recommend scheduling your pick-up time so you arrive to the Port around 12:00 PM. We allow two pieces of luggage and one carry-on item (per person). How long does it take to drive from Fort Lauderdale to Miami? The travel time is between 40 to 75 minutes, depending on the time of day and where you are staying. Is the driver's gratuity included? Yes, a 10% gratuity is included. If you are pleased with the service, you are welcome to give the driver an extra tip! No, all taxes, toll road charges, fuel charges seaport, and airport fees are included. Yes, child car seats are available, at no additional charge. If you need a car seat please notify us in advance. Are the vehicles handicapped accessible? No, there isn't a ramp for wheelchairs. However, there is room to stow the chair. Most of the vehicles have 3 steps. What if I need to cancel my transportation? We have a 72 hour cancellation policy - with No Cancellation Penalty. After the 72 hour cancellation period, there are no refunds. What is your hurricane policy? If a hurricane, or winter storm threatens to spoil your vacation, we promise to waive all cancellation fees and secure full refunds for customers with prepaid transportation. What cruise lines depart from Port Everglades? Most major cruise carriers depart from the Fort Lauderdale Seaport: Carnival, Celebrity, Cunard, Holland America, MSC, Princess, Regent, Royal Caribbean, Seabourn, and Silver. What cruise lines depart from Port of Miami? Most major cruise carriers depart from the Miami Seaport including: Carnival, Celebrity, Costa, Crystal, Disney, Norwegian, Oceania, Regent, and Royal Caribbean. For additional questions, please call (305) 754-2206 or click the chat button at the top of the page.